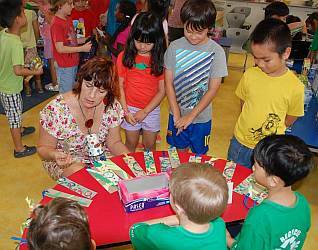 United Nations International School of Hanoi: Reduce, Recycle... SHOP! Kindergarten have reduced their waste by trying to use less and tried to reuse some of the waste we created over the past 8 weeks. 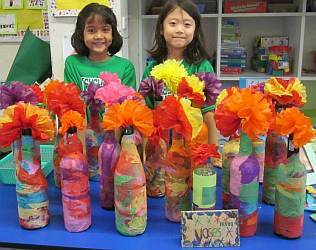 Students collected it and created practical things and works of art to sell. The proceeds from the shop will go towards buying trees, one tree will be a threatened species planted on campus, the remaining money will go to buy trees in the Atlantic Forest, Brazil. For more information.